As expected, ALCATRAZ slotted right into the “63 of the Week” format this week, introducing the newest returnee from the legendary Rock, child-killer Kit Nelson. But viewers also got a far-more-interesting peek at Dr. Diego Soto’s backstory — y’know, his origin story. Network executives scrambling to find the next zeitgeist-changing LOST can relax — the successor to LOST has been found, and it’s called ALCATRAZ. This new Fox series, from a lot of the same people who produced LOST, can best be described as “LOST on a Different Island.” Plus, it’s produced by J.J. Abrams! Seriously, ALCATRAZ has adopted a lot of the tropes of LOST, including a mysterious island, strange characters, cryptic clues, random character appearances, backstories and flashbacks, and a powerful Character Who Knows Stuff. 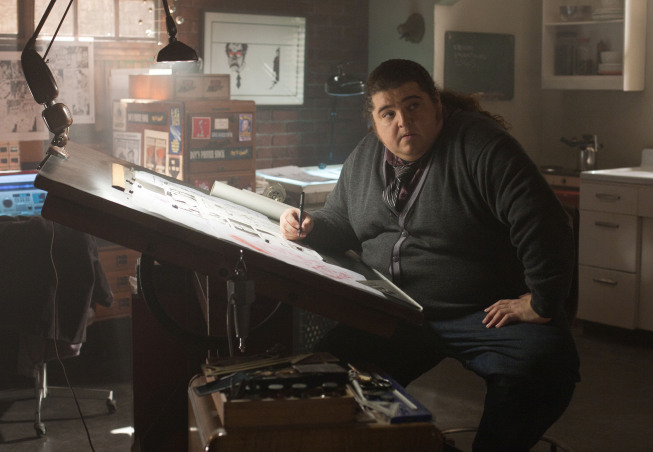 Plus, it stars one of LOST’s most beloved actors, Jorge Garcia (ex-Hurley), so how much closer to the former fan phenomenon can it get? After the sheer awesomeness that was the LOST finale on Sunday night, I was amazingly disappointed in the final, back-to-back episodes of 24. The first hour was mostly deadly dull exposition. I understand that foundations must be laid, but the basework here was drab and boring. I would expect the-powers-that-be to have honed the craft of creating exciting exposition for 24’s penultimate hour. The final hour of Jack’s very long day was a bit more exciting, as the first half was filled with tension: Would Jack assassinate the Russian president — in sequence that called to mind the premise of season one, in which Jack fought to thwart the assassination of US presidential candidate David Palmer? Later, a furious Jack barking at Chloe to shoot him was vintage Jack at his “by any means necessary” best. And Chloe actually shooting him? Awesome. I was even crossing my fingers that she could upload the data file before being stopped. But overall, it was a waste of time. The final chapter was devoted to tying off loose ends and wrapping up the overly convoluted story — as it related to other characters! Jack was barely in most of the episode! I love Chloe as much as the next 24 fan, but I need to her interacting with Jack, not Arlo and Cole, the shallow doppelgangers of the way she and Jack used to be. As for Jack, he ended up stabbed, shot, beaten and on the run, a bloodied man hunted by the USA as well as Russia. This was our last glimpse of 24 as a series, and it was not a satisfying story. I wish TPTB had ended with some closure for character rather than a blatant set-up for a future movie. It made the TV finale feel less important; like it was just a launching pad for a big-screen venture. The-powers-that-be chose to end the story, rather than merely answer questions. Here we the viewing audience were, wondering how the lingering questions were going to be addressed, but it looks to me that show-runners Damon Lindelof and Carlton Cuse said, “Screw that, we’re closing all the character arcs.” After watching the characters finish their journeys, I’ll be damned if I can think of any nagging leftover questions that still seem to matter. I feel totally satisfied by the story. So what if we don’t know the original human name of the Man in Black. Walt was “special” because…well, because he was. Maybe all kids were revered because of the pregnancy thing. LOST 6.16: What took you so long? As LOST winds down to its final precious hours, the bodies are piling up almost as fast as the reveals. The question is: Are the corpses and the answers worth it? This week we saw Jack (Matthew Fox) step up and accept guardianship of the Island, prompting my new $64,000 Question: What took so damn long? I can understand if Jacob (Mark Pellegrino) wanted Jack to accept the job of his own free will, but…why did he wait so damn long to ask? Jack surely would have taken stewardship of the Island in exchange for letting everyone else get off. And the way Jacob casually dismissed Kate’s (Evangeline Lilly) question about why she had been crossed off the list – it was just a line of chalk on a wall and so the job is hers if she wants it – had me ready to scream. He was willing to give it to any of the candidates? Why let everyone go through so much pain and torture? Why all the mystical mumbo-jumbo? Why? So, now we know… lots of stuff. Whether anyone likes what we now know is an entirely separate matter, but this was an episode that gave fans what we have been clamoring for: tons of answers. Maybe not the answers many of us were hoping for, but answers, nonetheless. 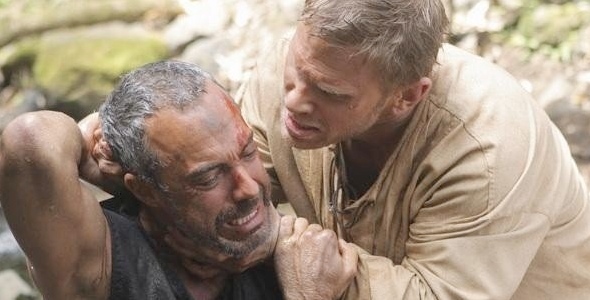 In one sense, it’s hard to criticize the episode that finally revealed: the origin of Jacob; the origin of the Smoke Monster; why Jacob and the Man in Black hate each other; who set up the “rules” for their conflict; the origin/significance of the white and black stones; why MiB wants off the Island so bad; where the donkey wheel came from and what it’s for; what Jacob is guarding on the Island; what job the “candidates” are being culled for; the identities of “Adam and Eve”; and the source of the Island’s strange powers. Turns out, it’s a kind of magic. Why? Why did Sun, Jin and Sayid have to die? Simple. They gave their lives in service of the story. Because their deaths added to the drama. Because a higher power — the-powers-that-be behind LOST — realized that sometimes story threads need to be snipped rather than tied off. Because TPTB have set the endgame in motion, and after six seasons, this all has to mean something. Plus, the characters died heroic, self-sacrificing deaths — the best kind possible, I suppose.